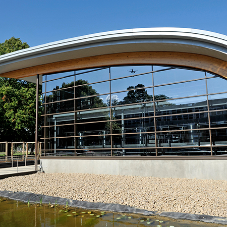 ARP's Legacy Half Round Cast Aluminium Gutter, Colonnade aluminium downpipes and swept offsets have been specified for Danbury Palace in Chelmsford. Danbury Palace is a private country estate which has been transformed into 45 luxury houses and apartments in 8.5 acres of landscaped gardens only 5 miles from Chelmsford station. As part of a re-development project, the Coach House was converted into six mews houses, retaining the historic feel of the estate on the outside, but encompassing all the contemporary and modern finishes that many homeowners aspire to. 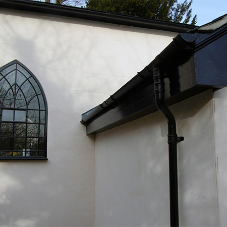 Specialised Fixings, a valued customer of ARP, won the contract to supply and install the rainwater system to the Coach House. 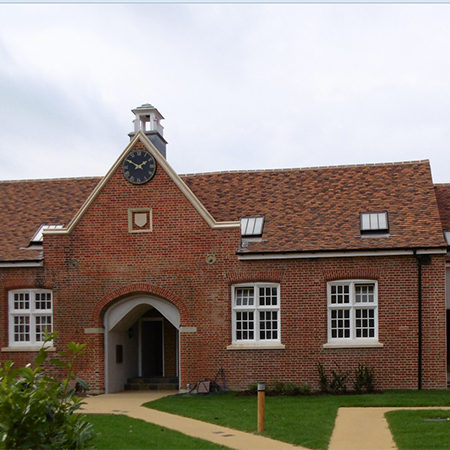 The Coach House’s traditional style of pitched roof with dormers, a red brick façade and grade II listed building, meant that the rainwater system had to meet the restrictive planning requirements, as well as fit the aesthetics of the property to heritage considerations. 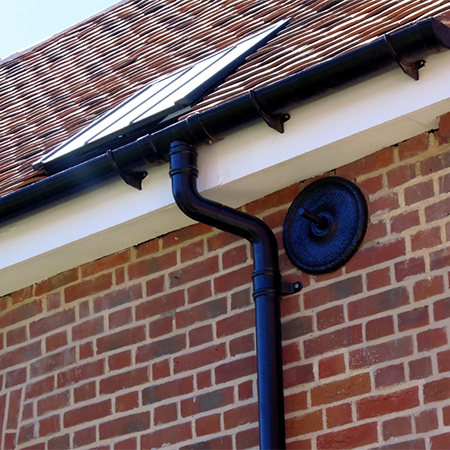 The products specified were the Legacy Half Round Cast Aluminium Gutter and Colonnade aluminium downpipes and swept offsets. The system was polyester powder coated by ARP’s in-house facility to a leatherette gloss black finish. Legacy is ARP’s cast aluminium range manufactured to replicate traditional cast iron profiles and was therefore the ideal solution. Made from aluminium it is non-corrosive and light-weight for easy installation. 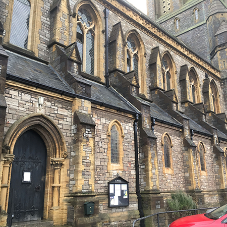 The system is strong, durable and needs minimal maintenance, but also enhances the finished appearance of the refurbished grade II listed building, whilst preserving the properties traditional appearance.